I love chicken wings! Crispy, sticky, flavorful bites of chicken right off the bone! They are completely and utterly delectable. For years I have been using a recipe of Alton Brown’s in my attempt to conjure up the flavor and texture that can only be found in a crispy deep fried chicken wing, however the results were mixed at best. Without firing up a deep fryer, I was convinced that hoping to create great chicken wings right out of the oven was as fruitless as attempting convince my pet fish to take a walk with me (Bubbles is starting to get a little porky and could use the exercise). But then I stumbled on my friend Nagi’s crispy wing recipe and it completely rocked my world! OK, truth be told, I’ve been living a lie. I don’t have a pet fish. I just needed a punchline. How can you ever trust me again!? !… Somehow we will work through this. But I am serious about this recipe being amazing. Every now and then an exceptional recipe comes along that gets me REALLY excited. This crispy baked chicken wings recipe is one such recipe. Seriously, they are THAT good. The secret is baking powder! Yes baking powder. 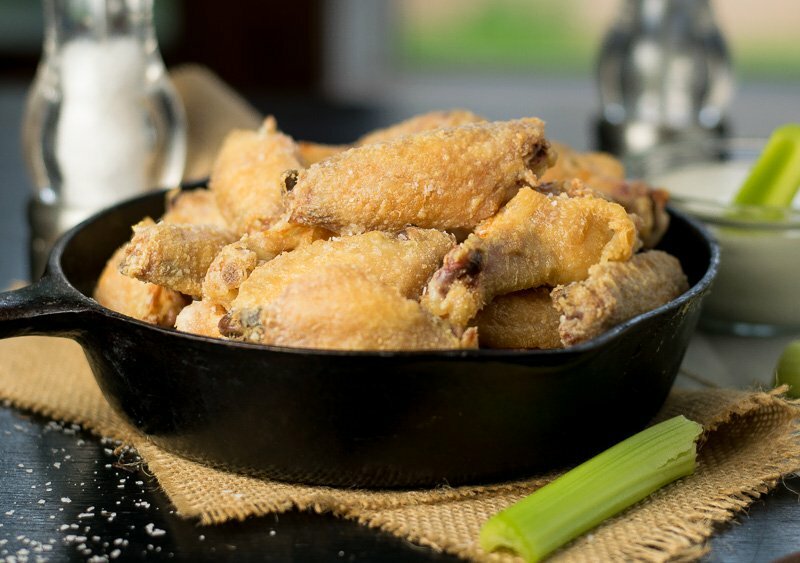 It is amazing how crispy a little coating of this magic dust will transform a chicken wing into a crispy, crunchy, perfectly moist morsel when baked properly! The recipe does take a little time, but it isn’t difficult at all. If you love chicken wings as much as I do, you need to give this recipe a try! If you don’t already have them in your kitchen, I highly recommend purchasing cooling racks to bake on. These allow air to evenly circulate around the chicken wings as they bake for even cooking. 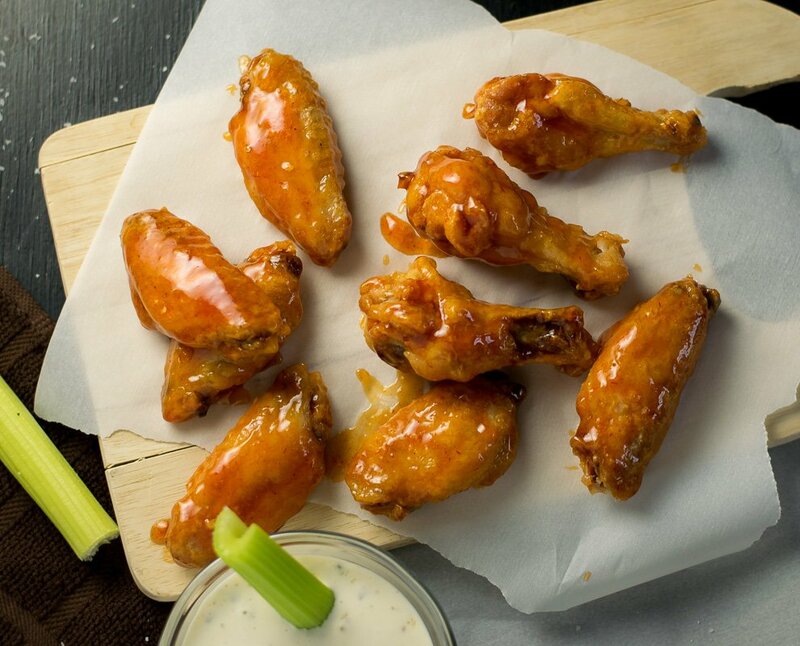 If the wings are set directly on a baking pan you risk sticking and creating an uneven texture. Purchasing good cooling racks that are safe for oven use is essential for any serious cook. The above links are affiliate links. 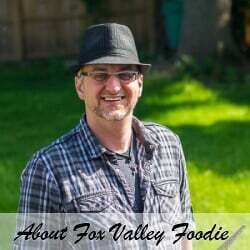 Any Amazon purchases made through these links help support FoxValleyFoodie.com without any additional cost to you. 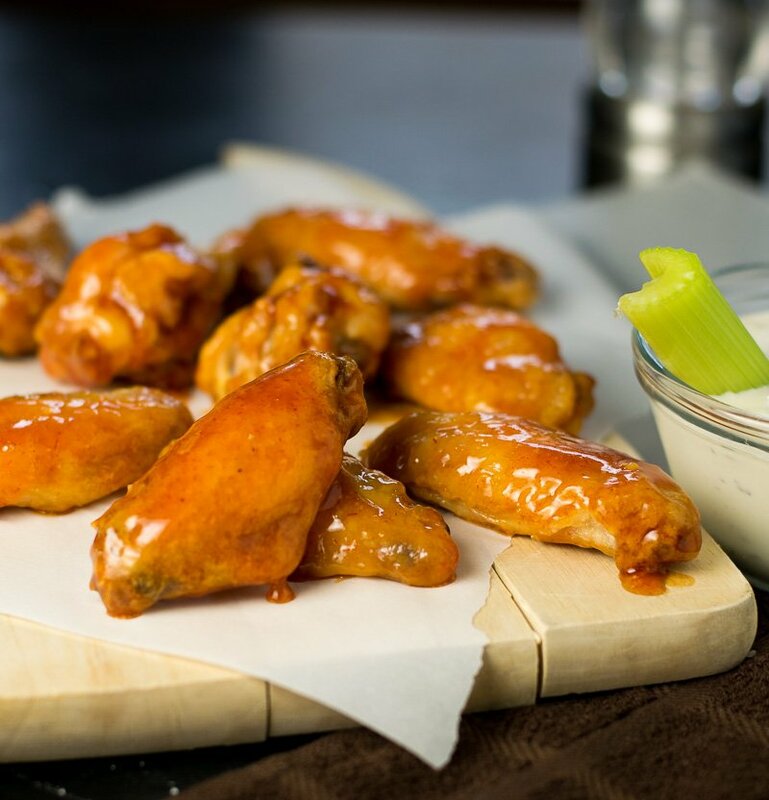 If you are a lover of chicken wings, you need to try this recipe! 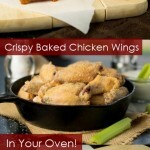 You will produce the most crispy, moist, and flavorful baked wings you could ever imagine coming from an oven! These are as good as your favorite sports bar! If you do not have the time to place them in the fridge, pat them dry with a paper towel instead. In a gallon sized bag, or large bowl, add the baking powder, salt and chicken. Toss to evenly coat. Place the wings evenly on the baking tray with the skin side up and bake on the lower rack for 30 minutes. Remove from oven and let cool for 5 minutes then toss in desired sauce. If you enjoyed reading my crispy baked chicken wings recipe then you should probably like me on Facebook and follow me on Pinterest too. That’s what I would do at least, because if you don’t get to know me but you still use my recipe it is kind of like taking candy from a stranger, and your mom taught you not to do that. Don’t disobey your mom, subscribe to Fox Valley Foodie today. I don’t fry either, so I love this recipe! Thanks for the tip on the cooling racks! Oh Nagi, you’re so funny! Yes, it really is incredible! I have a 100+ page recipe file that I’ve been building over the past number of years and this is one of the few recipes I’ve created or added in there that I’ve gave a perfect rating. I just don’t feel like there is any way to improve it! Thanks so much! Cool! Baking soda! I am going to have to give this a try!!! I need to learn to love wings…because I have a house full of boys. Boys love meat. Meat is expensive. I am poor. Chicken wings is cheap eats. I’ve never had a crispy wing, so maybe this is all I need to make me a convert. They look fabulous. This is a great recipe, love them and will try to make some for my husband. Jesus! I miss chicken wings! I used to eat them quite often – and the saucier, the better! These look delicious, Fox. Thanks so much! I can never get enough chicken wings! Woowwwww !!! This will be in my top list for next week. The glaze on those chicken wings look out of this world! Can I have some, please? An you use this on chicken breast?? Do you have something that you can use on legs thighs and breast.